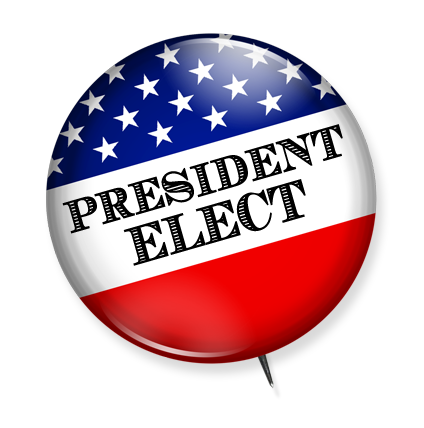 President Elect - If It Ain't Broke... Don't Fix It! If It Ain't Broke... Don't Fix It! I recently heard a joke, "If it ain't broke... the government will fix it until it is." This might ring true in the "Constitutional Crisis" buzz that fills airwaves and newspapers. We're bombarded about how the Electoral College should be scrapped because it didn't award the Presidency to the popular vote winner. But did it fail? Let's look at the three times it happened before. The first was in 1824, the first year popular vote was tabulated. Andrew Jackson received 44,804 more votes than John Quincy Adams, who was elected. The Electoral votes split with no majority among 4 candidates. In a House run-off, Adams was elected by 13 of 24 State delegations. But all this lacks relevance since 6 of the 24 states, including most populous New York where Adams held a stronghold, still appointed electors without statewide presidential elections. The next was in 1876 when Rutherford Hayes won 185-184. Samuel Tilden won the popular vote by 264,292. After much controversy the one vote victory stood. But to understand why, we go back to the debates that created the Electoral College. One of the major issues during the Constitutional Convention was the balance of power between large and small states. To resolve this, the Framers created the House with representation based entirely on population and the Senate with each state having equal votes regardless of size. The Electoral College combines these two concepts with a state's votes equal to its number of Representatives and Senators. The result is a system primarily based on population with smaller states having their voice slightly increased. Back to 1876, Hayes won 10-4 in states with 6 or less electors. The slight increase in small state's representation won Hayes the Electoral College. But since it was designed this way, doesn't this prove that it worked instead of failed? In baseball a tie goes to the runner. In Presidential races a tie, or at least close, typically goes to the winner of a vast majority of small states. Now on to 1888. Grover Cleveland won the popular vote by 100,456, a margin less than 1%. Benjamin Harrison won a landslide Electoral victory of 233-168. Many claim that this proves that the Electoral College is flawed. But was it? Cleveland had campaigned on the issue of reduced tariffs, one that heavily catered to the special interests of the Southern coastal states. This led to an overwhelming 72% victory in 6 Southern states by 425,532 votes. Hayes won 20 of the remaining 32 states by closer percentages and a combined margin of 325,076 votes. Also by design, the Electoral College rewards widespread National support instead of high percentage regional support from a few states or special interest groups that can boost popular votes by catering to them. That's why Cleveland lost the Electoral count despite winning more popular votes. Now if the Electoral College accomplished what it was designed to do, doesn't that prove that it worked? Now what happened in 2000? (Without going into the Florida recount soap opera.) Gore won the popular vote by 337,576, a margin of 3/10 of 1%. Bush won the Electoral College 271-267. What gave Bush the Electoral win? Basically a combination of what happened in 1876 and 1888. Bush won 13-6 in states with 6 or less electors. Close elections favor the winner of a vast majority of small states. Remember 1876? Demographics show that Gore's campaign platform appealed primarily to the special interests of large urban populations--the Northeast, Great Lakes and Pacific Coast. Gore largely ignored most of the Rockies, Great Plains and South which was Bush's stronghold. Gore won 21 primarily urban states (including DC). Bush won widespread support in 30 states all across middle America. If Gore would have won just 1 more state he would be President & Florida wouldn't have even mattered. Gore won the 2 most populous states, New York & California, by an overwhelming margin of 2,815,471. Narrowing that count down to just New York City and Los Angeles County, Gore won by 2,380,534. Which means that the rest of the United States, outside of those 2 metro areas, favored Bush by 2,042,958 votes. Remember 1888? So whether you like it or not, the Electoral College did in 2000 exactly what it was designed to do. Without it the power of electing Presidents would rely primarily in a handful of the largest population centers including New York & California. Now wasn't that the original issue that brought it about in the first place? Maybe the problem is that some people are just upset that it did in fact work? By the way, have you noticed that most opponents of the Electoral College are from... New York & California? So if it ain't broke... Don't fix it! Dell Hunt is a columnist for the Morning Sun, Mt. Pleasant, Michigan. This editorial originally appeared in that publication.